To complete an application for a dog, please email: chirescue@ymail.com and request an application be emailed to you for completion. Thank you for your interest in our wonderful dogs! Chihuahua Rescue Truckee Meadows, Inc., is a non-profit 501(c)(3) organization in the northern Nevada area. We help small dogs find forever homes. While in our foster care we get them medical care, vaccinations, spay/neuter and more. We have outstanding medical bills and can always use any donation you may offer. Sadly, Chihuahuas are the NOW THE NUMBER ONE breed euthanized in the western United States' shelters. Education is a piece of the problem - people simply believe because they are small - they are not euthanized, but that is incorrect. We rescue Chihuahuas and other small dogs from euthanasia. We often take special needs dogs, help those senior dogs that would die in the shelter and find a foster home and work with some dogs with behavior issues, rehabilitate the dog and find great homes. Often these tiny but mighty dogs may have been saved from an abusive or neglectful home and are often, thrown away because the owner no longer wants to keep them. We do help those dogs that can no longer be cared for by the owner or the owner is deceased. It is a myth that these rescued Chihuahuas are aggressive and not suitable for family life. Many dogs end up in rescue because their owners find them difficult to manage once they turn from puppy to adolescent. Often, it is not the fault of the dogs but it is simply the owner has not helped to teach the adolescent dog what is acceptable behavior. Additionally and sadly if the Chihuahua wasn't introduced to various situations, places, people, dogs and more...so now the small mighty Chihuahua is afraid of so many things. Having a dog takes commitment in time and energy. These rescued Chihuahuas turn into wonderful pets if given the chance to shine. You use AMAZON? You can help with every purchase you make; it does not make additional charges/fees to you. Do you walk your dog? Well download the WoofTrax application and every walk you take will they will donate a small amount ~ how cool is that! Share with your friends and go for a walk! Still not sure, well you can help with NEVADA'S BIG GIVE or simply make a donation through the button/links below. We can always use blankets, paper towels, bleach, potty pads, treats, grain-free food and toys. We have regular ADOPTION EVENTS - see calendar for details and you may always drop off things during these events. Many rescue dogs are rehomed quickly, however some need special help to overcome fears, anxieties or some trauma and remain in foster care for months or even years. These tiny but mighty Chihuahuas with Chihuahua Rescue of Truckee Meadows, Reno are looking for special people who want to help this delightful breed. Chihuahua Rescue of Truckee Meadows, Reno wants to help the special little dog find their dreams...a home they can call their own, free from stress, fully enjoyed and loved for the remainder of their lives. To learn more about these special little dogs, please review this web page. To see special dogs looking for homes, see their photos, videos and stories. You want to adopt one of these special Chihuahuas? Click the contact section and complete your responses to some simple questions. We do home checks after the application process, so please be sure you are within a reasonable driving distance. If you are not sure what is reasonable, please ask us. All adoption fees must be cash or a check made out to Chihuahua Rescue Truckee Meadows. Thank you and enjoy the site. 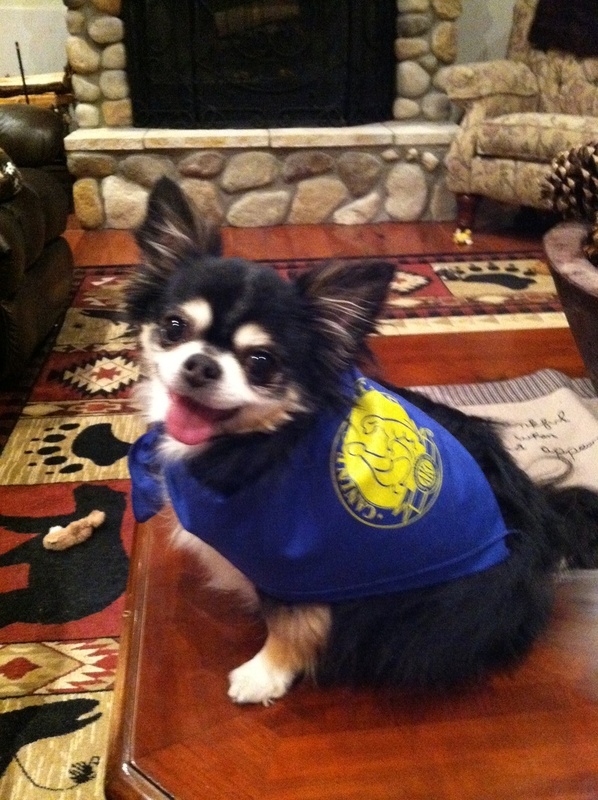 Even Chihuahuas can earn their Therapy Dog Canine Good Citizenship title) and become a Therapy Dogs. Above is Tuffy - his mom, Karen says, "He is simply amazing! Tuffy thrills everyone when he does his tricks, thanks to the training we got from Dog Training by PJ (http://www.dogtrainingbypj.com/)!" FOSTER HOMES are always needed in the Reno, Sparks, Carson City, NV areas. If you are unable to adopt a dog forever, consider fostering a dog from time to time for Chihuahua Rescue. Once you guide us and indicate what type of personality dog will fit your life-style we do our best to match fosters with potential foster parents. We have a simple application (on-line) for you to complete and submit. We provide food for the foster dog(s) and ask you attend the adoption events as able. We take care of vet expenses, however, the foster home must receive pre-approval from Chihuahua Rescue. Please consider becoming a foster home for a dog. You can't adopt a chihuahua or foster? Please consider your tax deductible donation to help Chihuahua Rescue of Truckee Meadows - Reno, Nevada. Your donation helps with vet expenses, including spaying and neutering and ensures the Chihuahuas receive their vaccinations. Can you please help Chihuahua Rescue of Truckee Meadows, Reno, Nevada with regular vet care and check-ups for the senior or special needs dogs, that are not ready for adoption? It is sad some of these Chihuahuas will never be ready for adoption, but you can read their stories and see their photos on the With Us For Life page. At Chihuahua Rescue of Truckee Meadows we let the unadoptable Chihuahuas live out their lives in safe, happy "foster-forever" homes. Won't you please help us save more of these marvelous little dogs? Thank you ~ Chihuahua Rescue of Truckee Meadows, Reno, Nevada and you can be assured the donations you make stay to help these Chihuahuas and make it possible to save more. Please watch a few of the videos on the "video link page." Through education we can end Chihuahua over population and suffering...there are so many that need homes ~ won't you adopt a Chi today? Chihuahua Rescue Truckee Meadows is non-profit 501(c)(3) ~ your donations are tax deductible. Thank you!